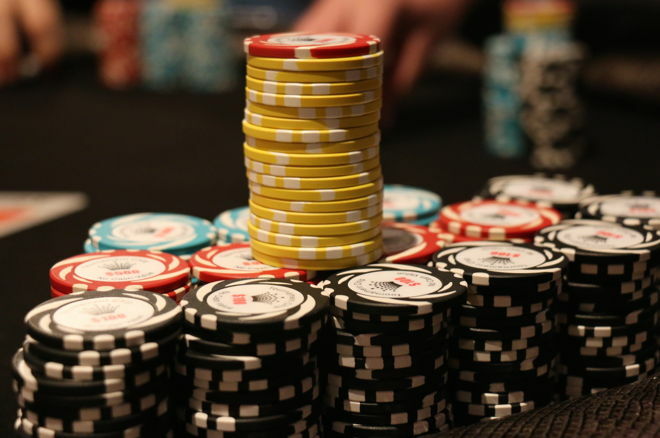 Sit-and-go poker tournaments remain one of the most popular formats, especially online. An introduction to sit-and-go formats including tips for developing a winning SNG strategy. Sit-and-go tournaments are to this day one of the most popular formats of tournament poker. Thousands of such games are played at online poker sites every day all around the world thanks in part to how often they run and the fact it is possible to adopt an optimal sit-and-go strategy. Those of you new to poker may be wondering what a sit-and-go (or SNG) is, so we’ll fill you in with all of the details. SNGs are tournaments that unlike multi-table tournaments do not have a specific start time. Instead the action begins whenever enough players register and there are no more seats in the tournament to fill. The most common sit-and-go tournaments are either played heads-up (action begins when two players register), six-max (kicking off once six players buy-in), or nine- or ten-handed or “full ring” (these start when nine or ten players have entered). These SNGs are often called single-table tournament sit-and-go (or STT SNGs). Another popular variant of SNG is a multi-table tournament sit-and-go (MTT SNG). Like their single-table cousins, MTT SNGs begin when all of the seats in the tournament are full, and they pay the same number of players each time they run. Why are Sit-and-Go Tournaments Popular? As touched upon earlier, one of the reasons for the popularity of sit-and-go tournaments is the fact they run so frequently. Mathematical variance has a major influence over poker players’ bottom lines, and one way to negate it is to play more poker. As sit-and-go poker tournaments run all day and they are relatively simple to play several at once — especially once you’ve learned basic sit-and-go strategy — it is possible to play dozens of SNGs in a single session. Another reason for players liking SNGs is how they make it easy to plan how long a session will last, as well as to manage how much they could win or lose during that session. Sit-and-go tournaments that are similar in size and have the same blind structure usually take the same amount of time to complete, give or take a few minutes, which allows for a more structured session than is usually possible with regular multi-table tournaments. What is a Winning Sit-and-Go Tournament Strategy? Although one of the great features of poker is that a player can choose almost any playing style and still win, there is a very structured sit-and-go strategy to adhere to if you want to win consistently. With the number of payout places and amounts being the same for every SNG of the same size, it is possible to make a mathematically correct play based on what is known as Independent Chip Modeling, or ICM, when the tournament reaches the bubble stage. While this sit-and-go strategy is employed by many SNG regulars, there are some players who prefer to play a loose-aggressive style in the early stages in an attempt to build a large stack in time for when the bubble approaches. This SNG strategy can lead to more outright victories, but comes with its own risks and pitfalls. Independent Chip Modeling (ICM) is one area you need to learn in order to perfect your sit-and-go poker strategy. ICM allows a player to assess the risk-versus-reward in certain spots of a SNG, namely on the bubble and once everyone is in the money, by calculating a player’s overall equity in a tournament. By performing ICM calculations, it is possible to conclude whether or not it is correct to make an all-in bet or to call an all-in bet. If the stack sizes are set in a certain way, it can be correct — in terms of equity --- to fold a hand as strong as to an opponent’s shove even if calling would usually see you add more chips to you stack. By the same token, there are some situations where the correct sit-and-go strategy is to move all in with any two cards, regardless of how weak they are. When learning any skill, be it playing the violin or sit-and-go strategy, it is important to practice, practice, and practice some more. If you drive a car, cast your mind back to when you first started to learn how to drive and how you struggled to remember everything that you needed to do in order to drive down the road safely. Now consider the last time you drove — I am willing to bet you didn’t consciously think about changing gears, checking your mirrors, and other nuances associated with driving. That’s because those things have all become second nature to you. Practice enough at the poker tables and you’ll soon have a winning sit-and-go strategy similarly committed to memory, and will be able to draw upon it without really thinking about it.